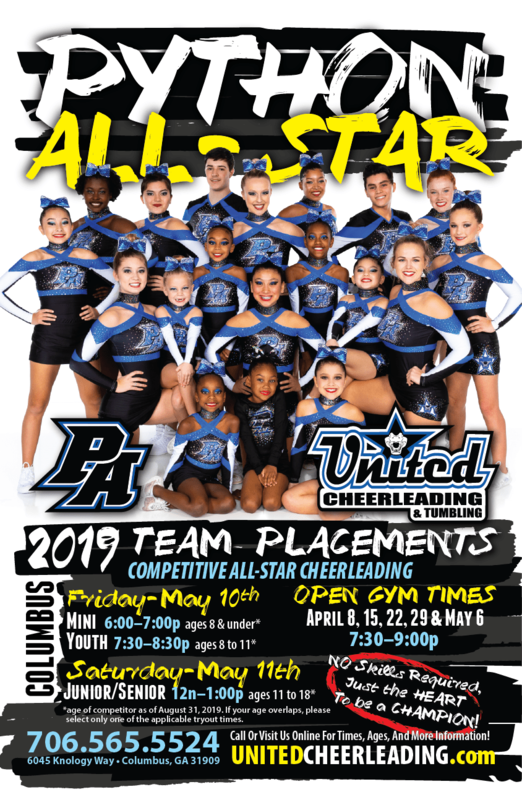 Come be a part of the winning team at United Cheerleading! If you are looking for a program that will help you reach your fullest potential, then United is the right place for you. In United’s All-Stars program you will learn lifelong lessons such as TEAMWORK, SPORTSMANSHIP, and INTEGRITY. Our competitive record speaks for itself – 500+ National titles/ 1st place finishes. This outstanding record is due to HARD WORK and DEDICATION from the All-Stars, Parents, and Coaches. United Cheerleading has cut down all barriers pertaining to All-Stars Competitive cheerleading. United offers ALL levels of All-Stars teams, from PREP through elite. If you have competitive experience or you’re just brand new, United has a team for your age and ability level! So, you want to BE THE BEST? Join United!!! Get additional details here.